Home / Featured / Nylander Sitting for the Season? The deadline is approaching for the Toronto Maple Leafs to sign William Nylander to a contract. In order to be eligible to play in the 2018-19 season, Nylander must be signed by 5:00 pm EST on December 1, 2018 in order to be eligible to be playing in the NHL. It is becoming more obvious that the Leafs are willing to let the deadline pass meaning that Nylander will sit for the entire season. While the Leafs have expressed that they are open to trading the winger, there are increasing signs that the team is comfortable with the current situation. Both the Carolina Hurricanes and Los Angeles Kings are two of the teams reportedly interested in pursuing Nylander and given his age, talent and upside potential, the Leafs have indicated that the cost to acquire the eighth-overall pick from 2014 won’t be cheap. Nick Kypreos has indicated there are are multiple teams willing to pay Nylander in the ballpark of $7 million annually, which at this time appears to be a price the Maple Leafs feel is too high. Nylander is aware of that market is willing to offer him more than the Leafs and that has been a catalyst for the winger refusing to sign a contract up to this point. Speculation has risen that it will be likely that Nylander will either agree to a one-year contract or perhaps a 3-year bridge deal, with the Leafs offering somewhere in the vicinity of $4-5 million a year. 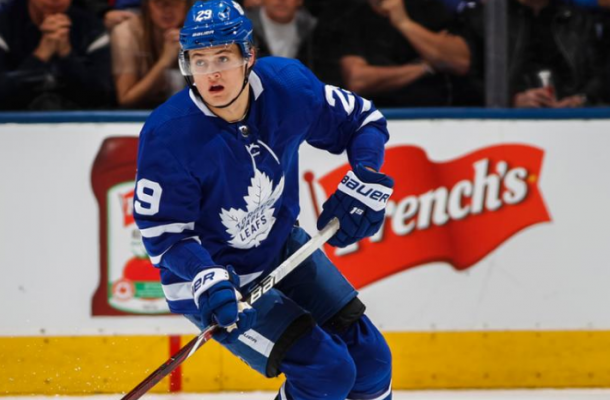 The problem that the young winger has at the moment is that the Maple Leafs are deep on talent, especially with the off-season signing of Tavares and the performance of Marner & Rielly in the absense of star Auston Matthews. Stay tuned as the William Nylander and Toronto Maple Leafs soap opera continues.